The expansion of New York’s Museum of Modern Art will take place across five buildings. MoMA’s chairman, property baron Jerry I. Speyer, seems to be curating his real estate: deciding which architecture to display, and now, in a recent announcement, what to keep in storage. A city presents endless constraints out of which creativity emerges, or it doesn’t. There were plenty of good reasons to raze the old Pennsylvania Station 50 years ago, but that didn’t mean that it was wise. It would be truly radical for MoMA to save the former folk art building, but that’s not what the museum has ever really been about. 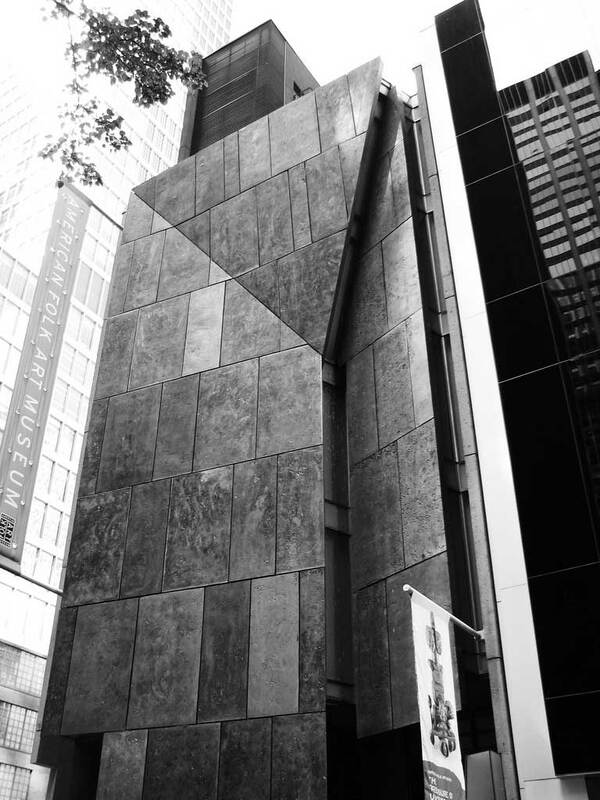 Yesterday it was announced that MoMA was indeed saving the folk art building, but in pieces. Every copper and iron panel by Williams and Tsien are to be kept in storage. Many have called for them to be displayed or in some way reused, but the museum shows no enthusiasm about making an exhibition out of the panels. I visited MoMA three years ago. I was staying in New York a few weeks before my university finals. I remember every place on that trip, almost every word that New Yorkers said to me; I remember the Guggenheim and the Met in detail, as well as a couple of little Chelsea galleries. I remember very little about MoMA, though, apart from the building next door. Looking at the two structures side by side – MoMA and the American Folk Art Museum – which one do you think looks more radical? The shiny glass penthouse with sibling galleries in every modest city in the western world, or the crocodile-skin one with its heavy fossil sheen? 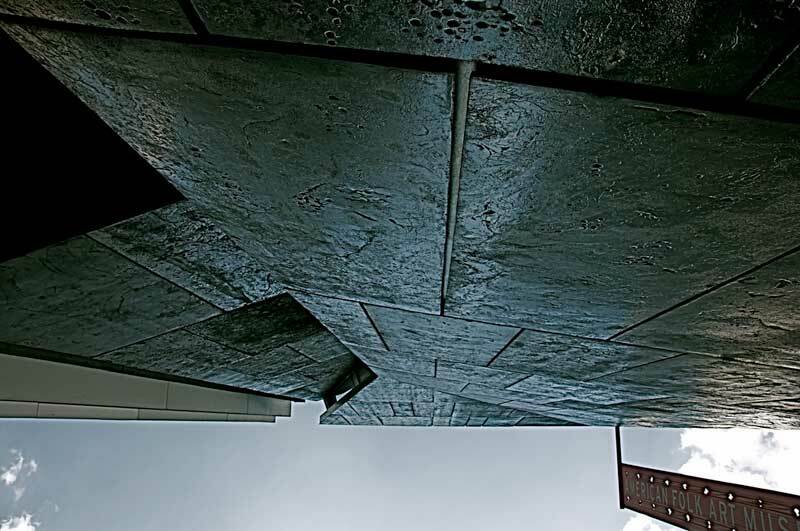 I’d say gut the folk museum, demolish MoMA, and get Diller Scofidio + Renfro – the firm of architects in charge of the new design – to come up with a space which feeds into the folk museum structure. If not, auction the panels to people who care. Or maybe if the new plans don’t work out, MoMA can painstakingly assemble a folk museum retrospective where it once was.